*Select photos by clicking the checkmark in the upper right corner of each photo. You can select the first photo, hold down shift and select the last photo— this will auto select everything in between. 3. Next, hover your mouse over 'Actions' in the top menu and choose 'Move'. 4. 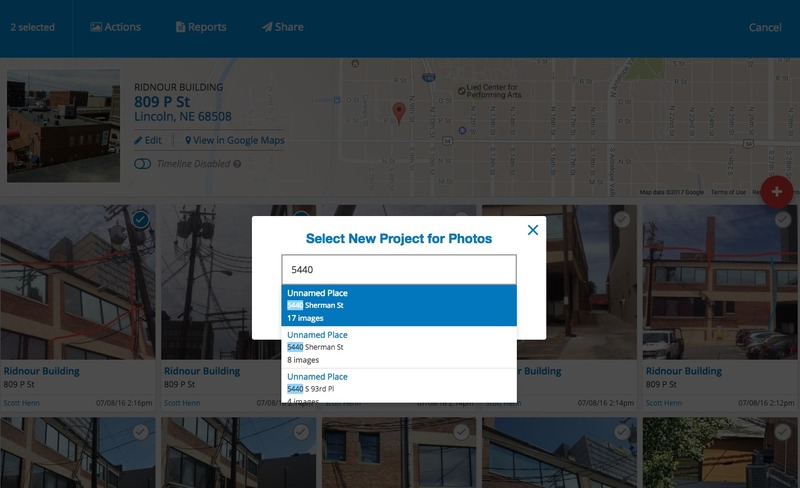 Use the search box to find the Project you'd like to move the photos into. 2. Tap the 3 dots in the upper right corner. 4. Tap the small circle that's showing on each photo (upper right corner of each photo). This will select that photo. 5. After you have selected the photo(s) you want to move, tap the 'Actions' button in the lower right corner. 7. Search for the Project, tap to select the project and then confirm by tapping 'Move'. That's it! Let us know if you have any questions.